The next time you plan a trip to Disneyland, schedule an extra day or two to explore the nearby Irvine Regional Park. I fall a little more in love with this park every time I visit this treasure in California’s Orange County. You could easily spend a whole weekend just exploring this 477-acre park with its plentiful hiking trails, zoo, horse rentals, miniature train and more – all amid tall, leafy trees and the natural beauty of Southern California. I can’t remember the last time I laughed as much as I did during my family’s most recent visit to this park. Nothing made us laugh more than our surrey ride. I am a bit of a worry wart and my husband tends to think no rules apply to him. Although the rental attendant warned us to avoid a couple of specific hills on the park’s trails for safety reasons, my husband peddled our surrey straight toward those areas. As we zipped down the hills I commenced yelling, which led to our 5-year-old daughter’s nervous screaming, and caused our 2-year-old son to turn around from his front basket seat and ring the bicycle bell frantically – apparently as a warning to Daddy to slow down. Once we reached the bottom of the hill safely the whole family would burst out into laughter. Until the next hill. 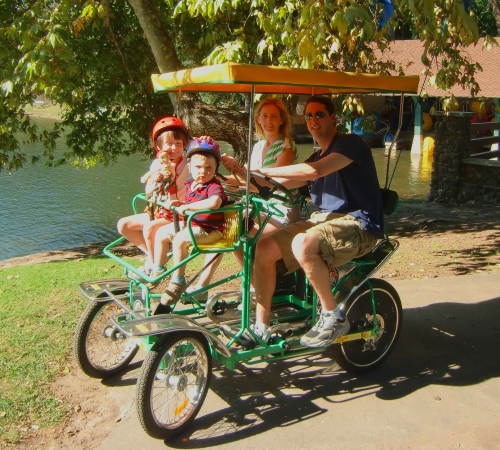 Rent cruisers, kids’ bikes, tandem bicycles, surreys, and other wheeled items from Wheel Fun Rentals near the boat dock. Since the paddle boats only fit three, my husband and I took turns peddling the children around the small, picturesque lake. Our little boy’s chubby cheeks squished up by his life preserver busted his big sister and me into more rounds of giggles. 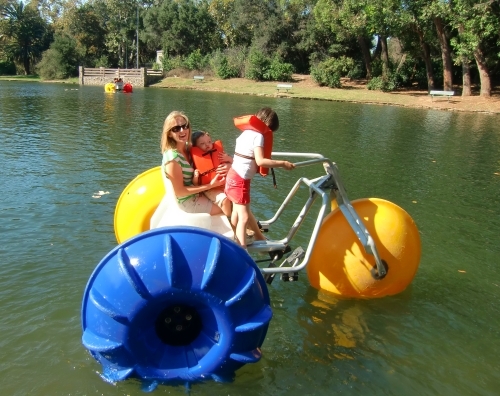 The paddle boats are available to rent by the half hour, and that’s about all you’ll need. My legs tired quickly as I followed ducks around the lake, while the kids gazed in awe at the birds’ submerged orange feet. Trail rides are also available for adults. Rides are by appointment only, so plan ahead! The trail horses meander sloooowly along one of the park’s many trails. There’s no cantering, certainly no galloping, and barely any trotting allowed. As a teenager I rode horses competitively so trail rides are a bit of a yawn for me. But it’s always nice to climb aboard a horse and take in the scenery, especially in a setting as lovely as Irvine Regional Park. According to Zookeeper Lauren Howell, the zoo’s residents live here because they cannot be rehabilitated and released back into the wild. Many have been injured by cars, gunshot, hunting traps, or by predatory animals. Others are orphans who could not survive in the wild because they were never taught survival skills by their mothers. 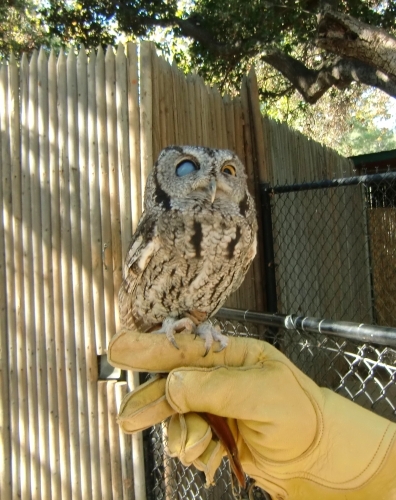 Some were confiscated from people who illegally kept the animals as pets. 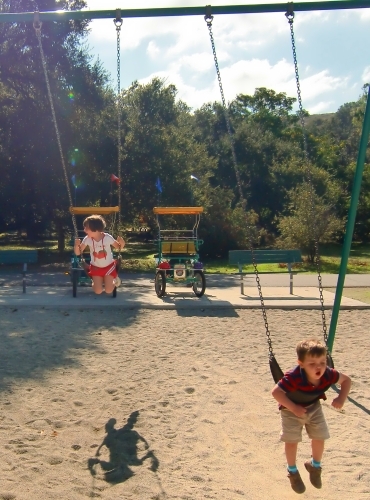 There are several playgrounds equipped with swings, jungle gyms, and such throughout the park. Picnic tables are also plentiful. There are a couple of on-site snack bars with affordably priced items like hamburgers, corn dogs, burritos, and ice cream. I’ve never ordered anything beyond a bag of chips and a soda because we like to pack a picnic lunch for our Irvine Park adventures. On my three visits to Irvine Regional Park I’ve been too busy with all of the other activities to explore the park’s several hiking trails. This gives me an excuse to come back! 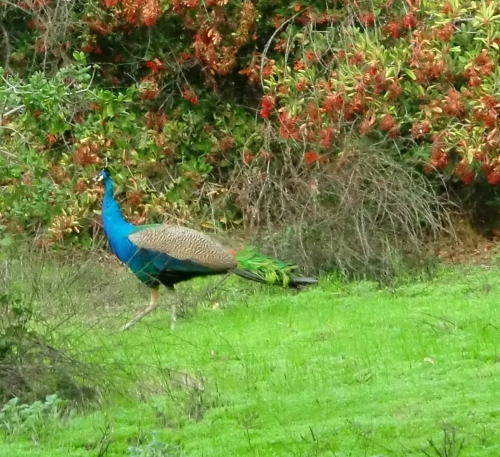 I think spending a day outdoors at Irvine Regional Park was good for my family. I know it was good for my soul. This park is now officially one of my favorite places in the world. It’s a place to connect with nature. To play. To laugh. To breathe. To take joy in the little things. Learn more about the park at their website. Where is your favorite place to take joy in the little things? Share your thoughts in the comments! A note from The Travel Mama: Irvine Regional Park provided my family with complimentary surrey rental, paddle boat rental, train tickets, and entrance to the Orange County Zoo on our most recent visit. My horse rental was provided by Travel Media Showcase, a conference for travel writers that I attended earlier this year. Thanks for the find – we’ll have to check this place out (maybe more than once!). Looks like our kinda fun! Debi – It really is such a great place to go as a family to connect with nature and with each other. Let me know when you’re going and maybe we can meet you there! Well, we’re going to Disneyland again and it’s the second time so I guess this suggestion of yours is really timely for us. Would be good to be able to visit a new place hat ‘s just near Disneyland. And those pictures are really so good and interesting that I know we’ll surely be having a great time there. Thanks so much for sharing this. I was searching for Disneyland info and came across this site. I was looking for other things to do in California while we will be at Disneyland in September. This park looks like so much fun. Since your post was several years ago I was just curious if what you posted is still accurate information? Thanks! Hi ShayLynn – From looking at their website, everything looks the same at Irvine Regional Park since the story post date. Pricing may have changed, so I removed the prices from the story. 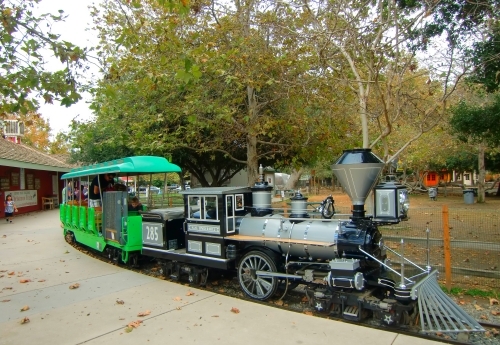 Here’s a link to their site: http://www.irvineparkrailroad.com/content/rides–attractions – It looks like you can even download coupons before you go. Have fun! 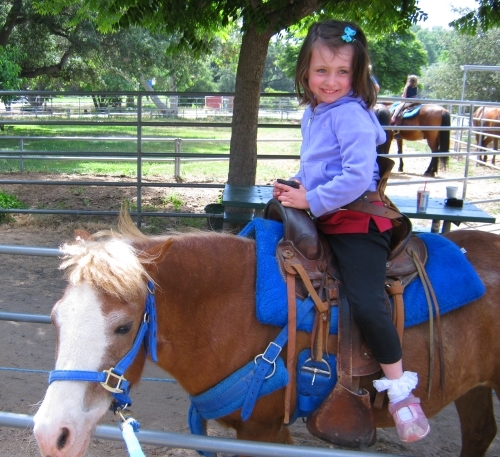 Home » BLOG » Irvine Regional Park – For Families, For Nature Lovers, For Everyone!